Are you looking for a most attractively designed plastic look chair for your home or workplace? 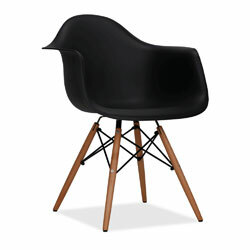 Then Eames DSW Chair is the best option for you, which will satisfy all your major needs and comfort. Along with the rustic appeal of wood, this chair has been merged with Charles Eames love of plastic. This product will give you better feel and touch. This design is considered to be iconic and it was inspired by the year of 1948. The versions of this Eames DSW Chair furniture are available in plastic, completely upholstered and fiberglass. Beech wood and steel are used to construct the Eiffel tower legs, which is a major part of this product. On the seat area, a round marking will be displayed in the plastic version. 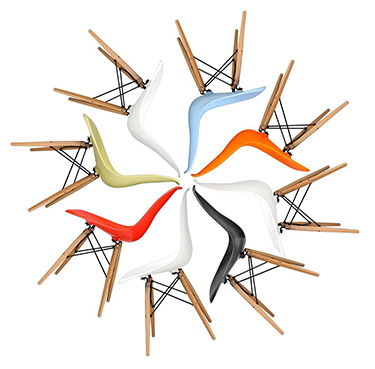 There are also enormous varieties of colors are available in Eames DSW Chair. The colors are orange, white, black, red, green and blue.